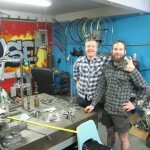 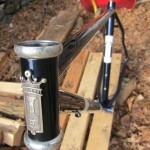 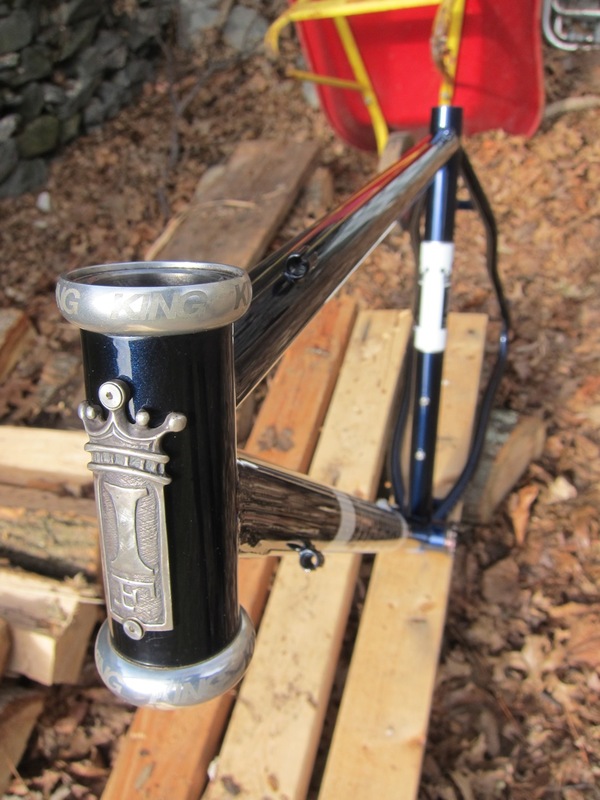 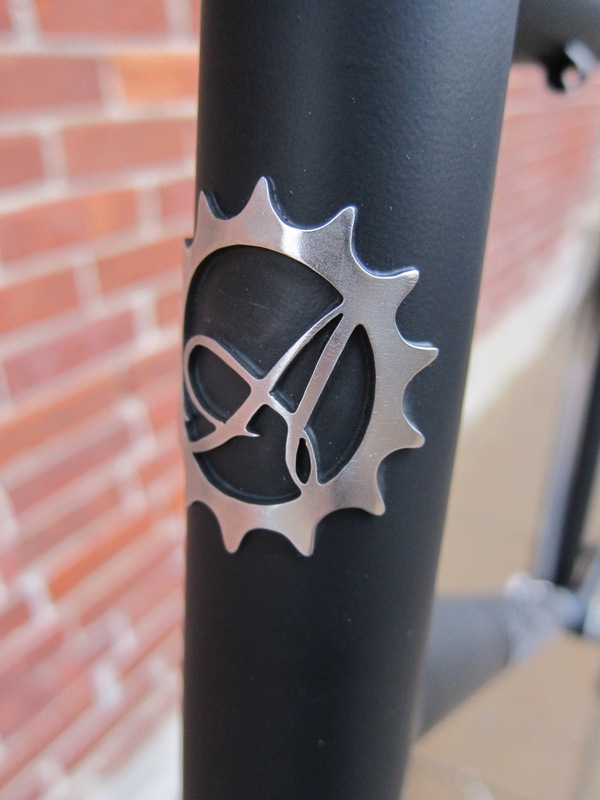 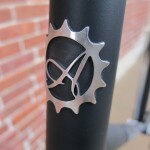 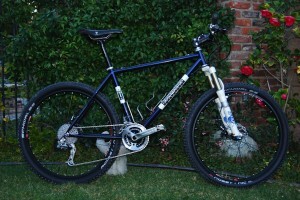 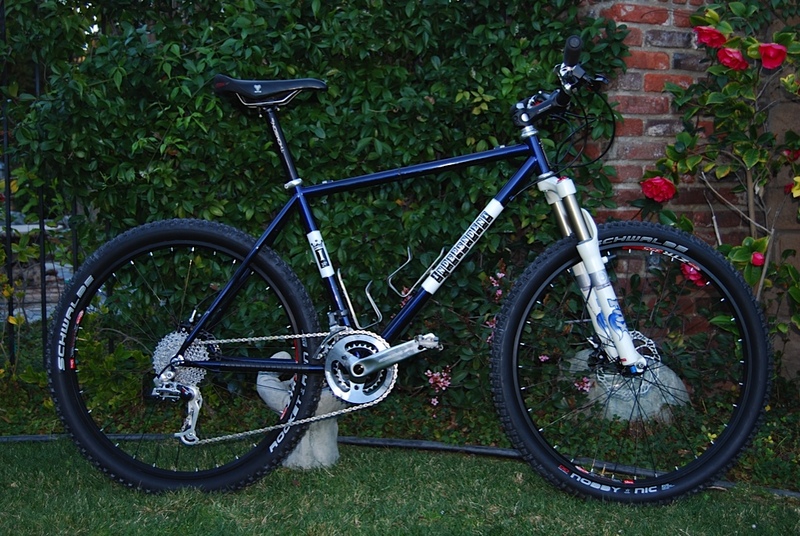 This bike was designed as a 26″ wheeled single speed with the S&S internal style couplers. 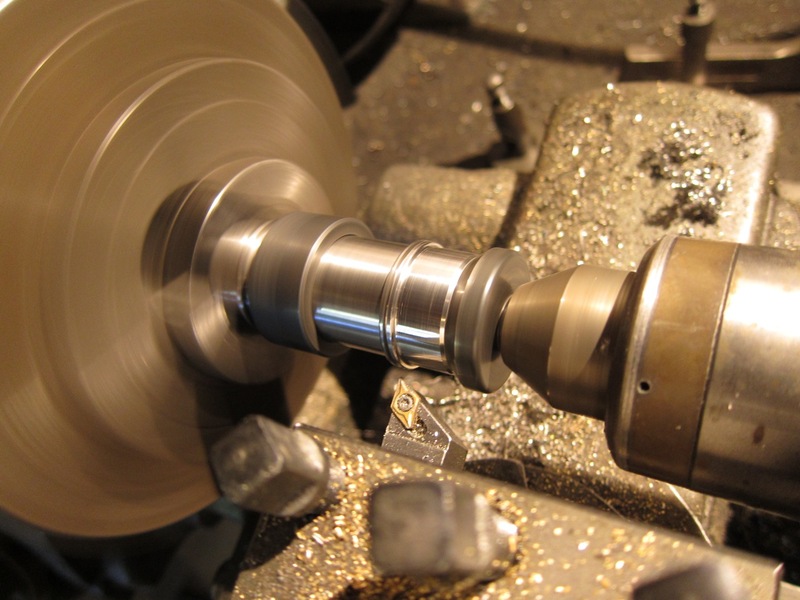 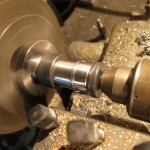 In order to get the couplers to fit inside the tubes, they needed to be turned down on the lathe (see pic). 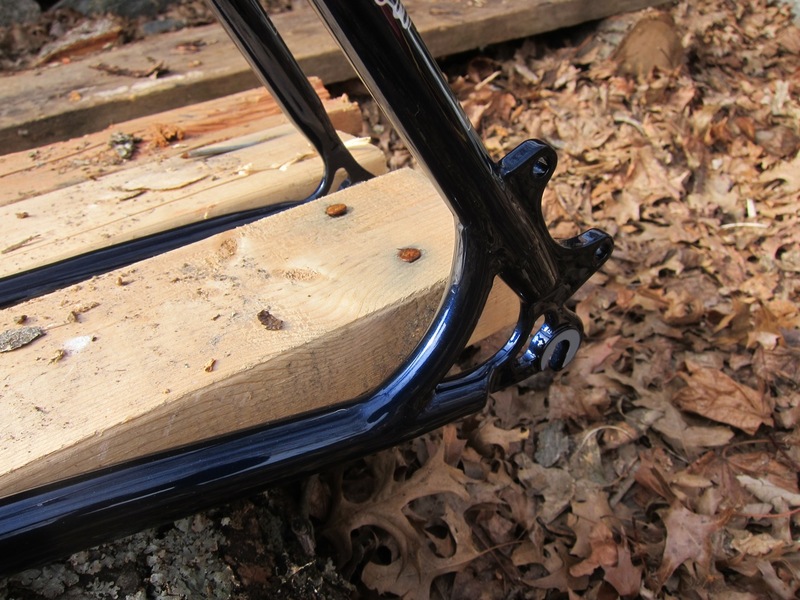 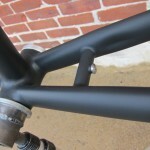 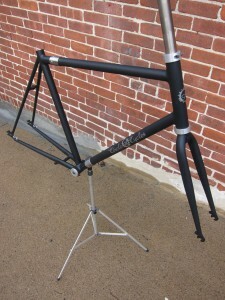 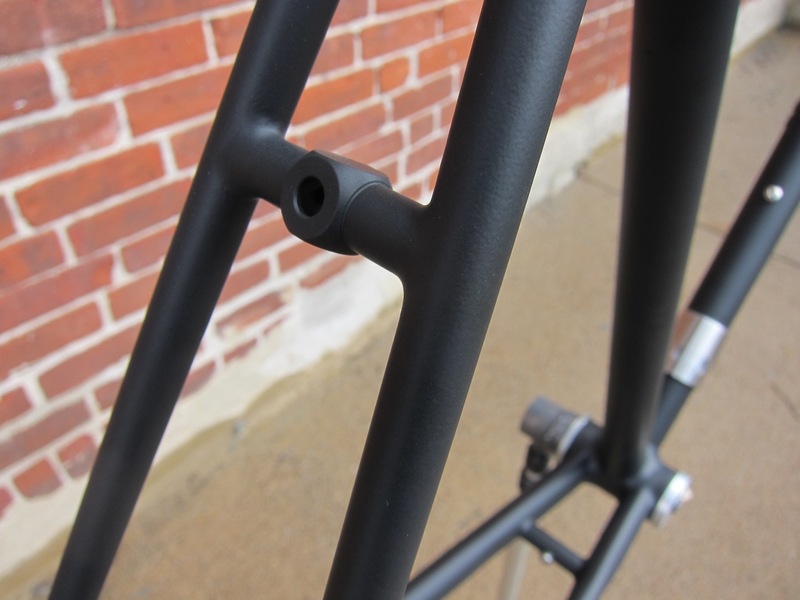 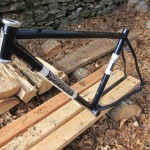 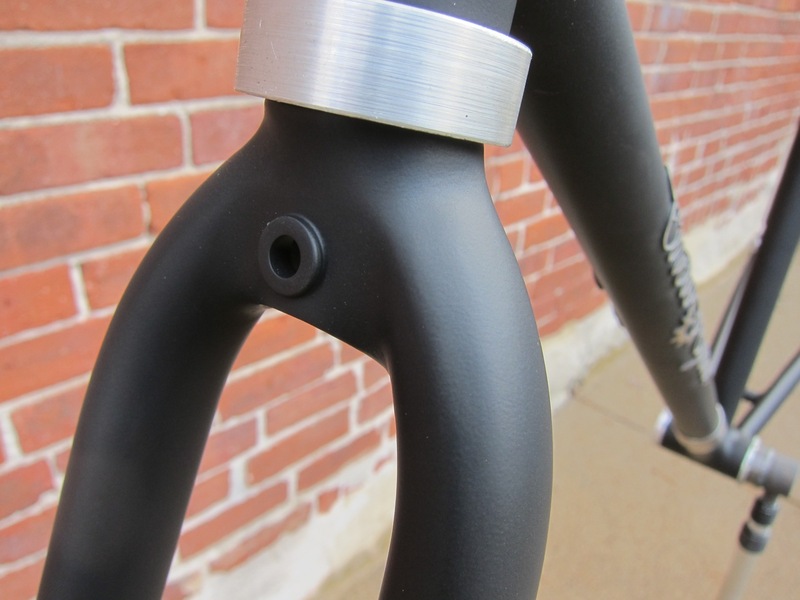 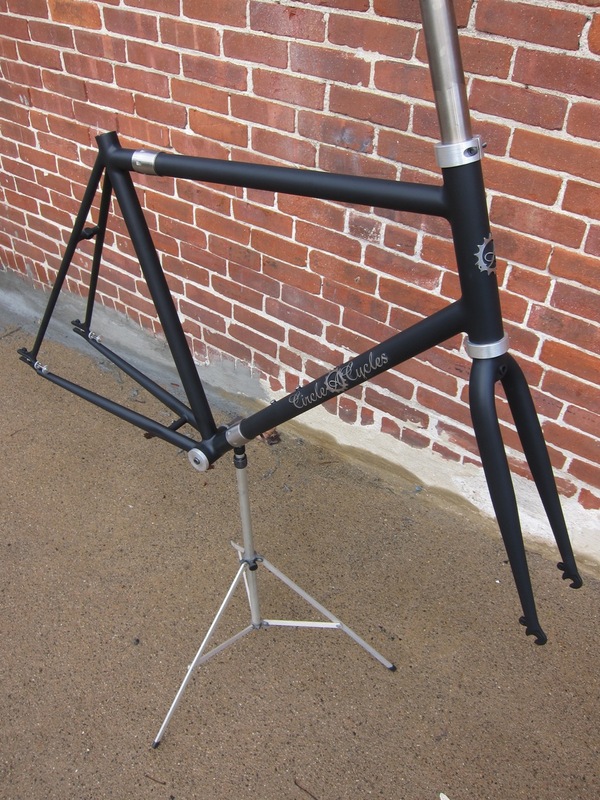 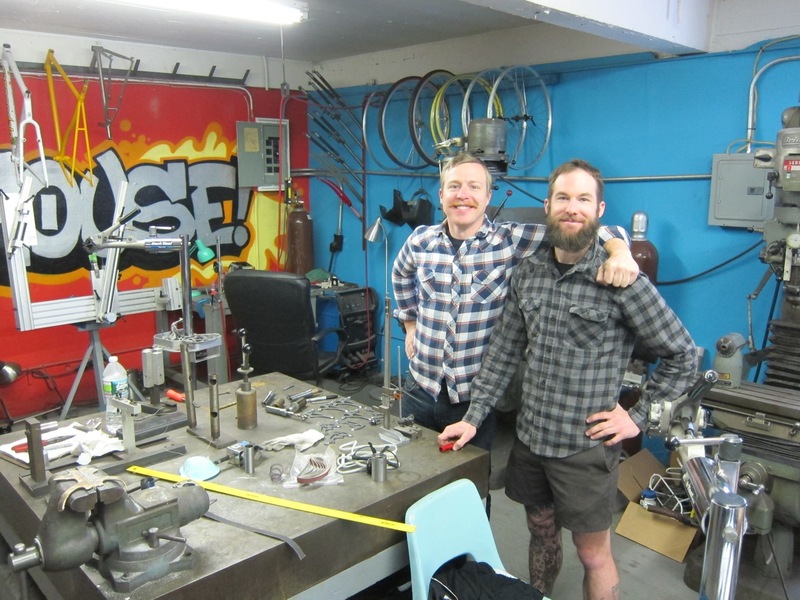 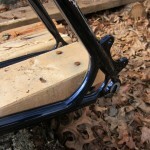 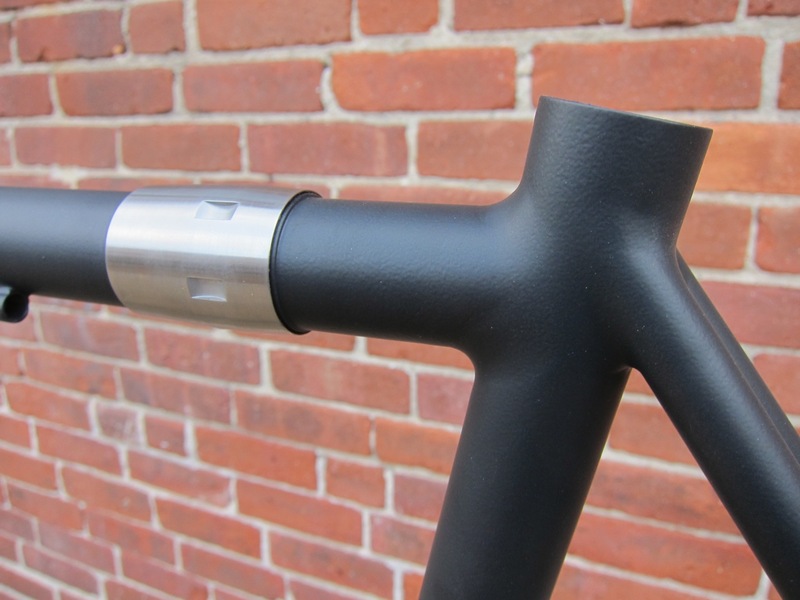 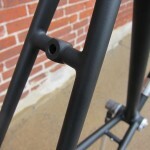 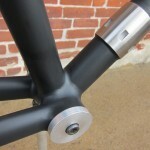 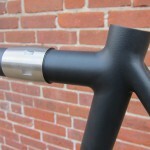 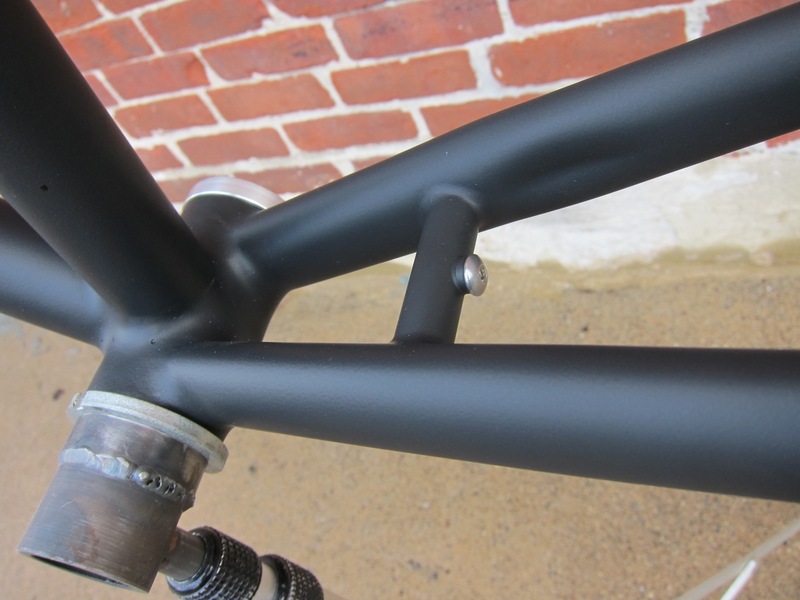 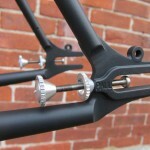 Since it is a travel bike, Tim wanted to go with a more durable matte black powder coat for paint. 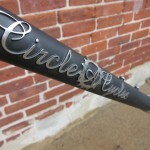 But we only do wet paint so the guys over at Geekhouse were happy to oblige with their powder services. 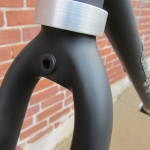 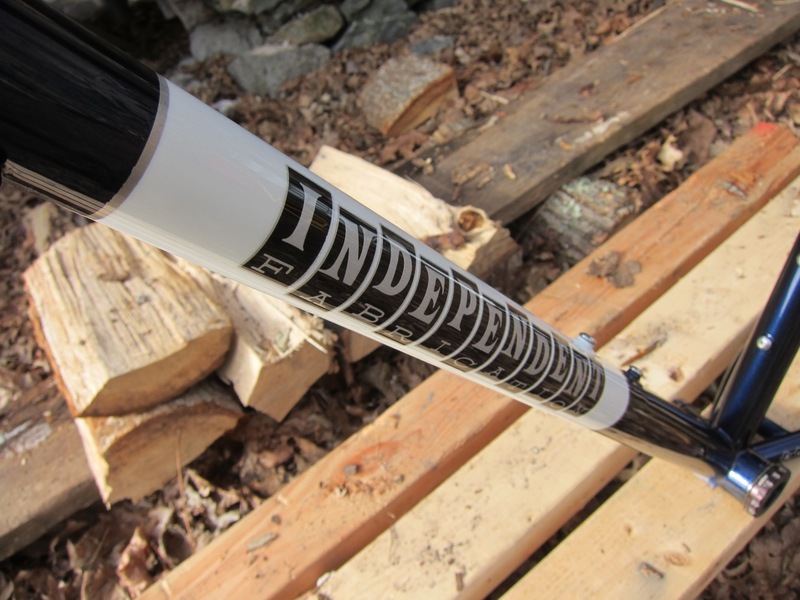 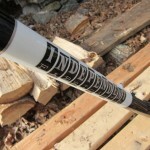 It has been built up with all silver and black components for a very monochromatic look. 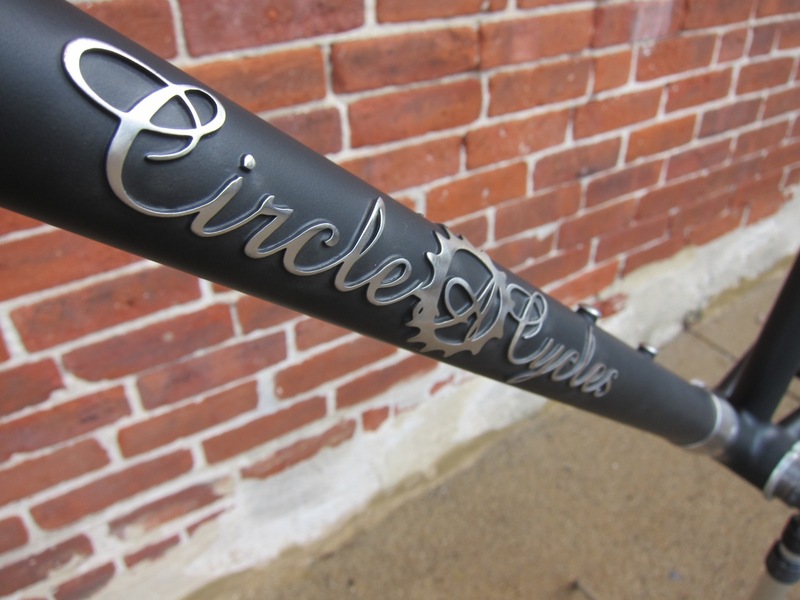 It’s definitely a serious looking bike with a purpose. 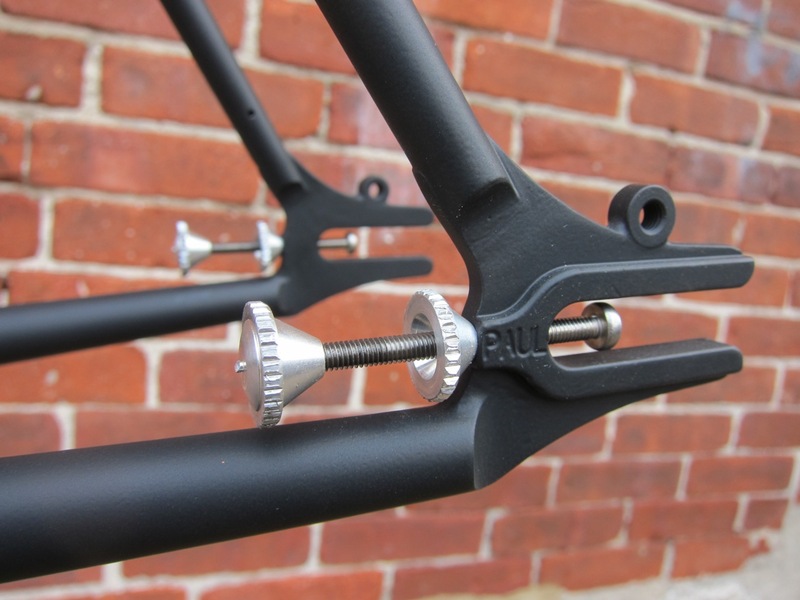 In other repairs and repaints, this Independent Fabrications frame came to us to have the canti posts removed and get set up for a disc brake. 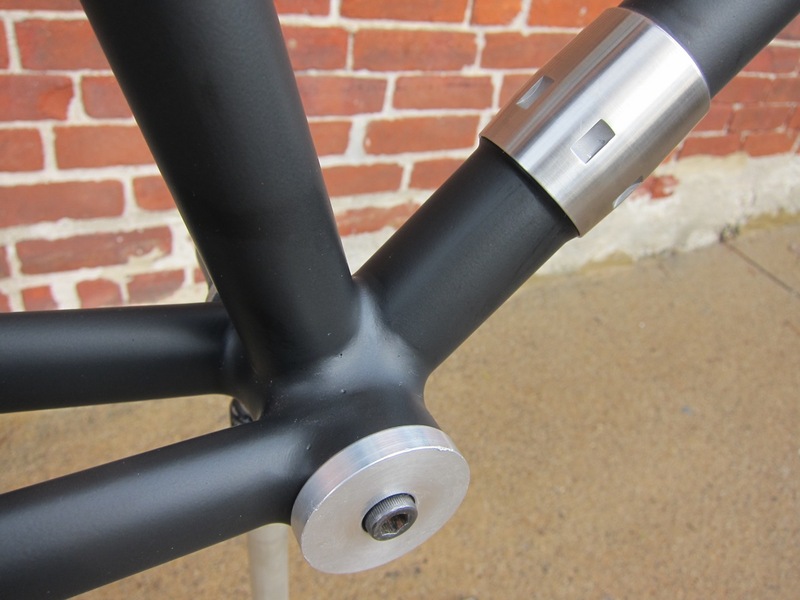 I put on the guides, brace, and disc mount and then gave it an understated blackish blue paint job with light cream panels. 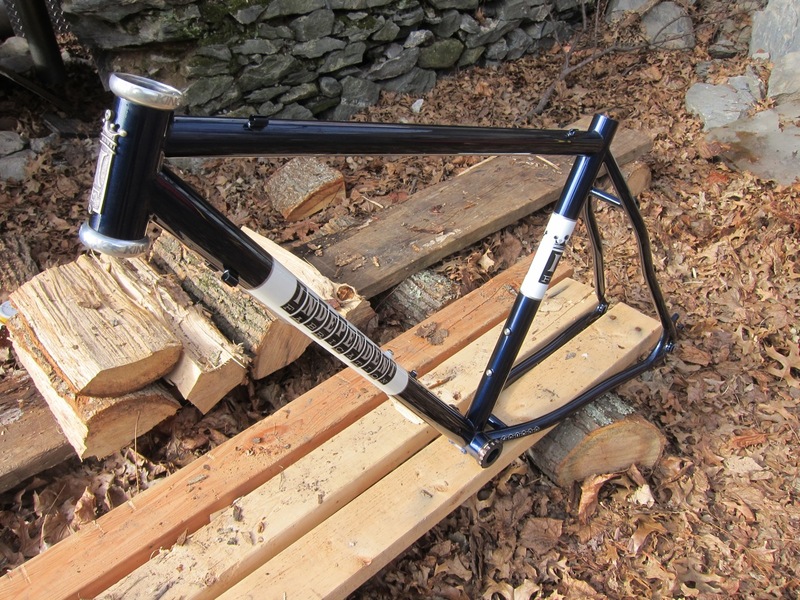 Looks great, Vince!